Catch up on this new bubbly track from Jaystuntz – Isi Ewu ft. Flavour, CDQ & Zoro out now! Prolific music producer Jaystuntz takes his music to the next level as he releases ‘Isi Ewu’. The song has a star studded lineup with Flavour, CDQ and Zoro doing justice to the tune. 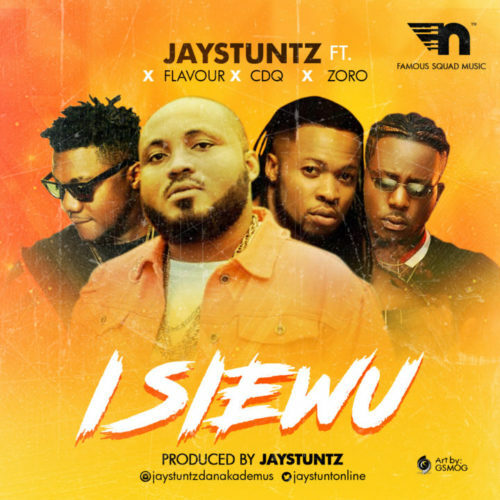 Listen to Jaystuntz – Isi Ewu ft. Flavour, CDQ & Zoro below. Enjoy, comment and share!